This item has been discontinued. Please visit one of our quality alternative items. Every wire basket is made with a silver metal that is shaped together to create a 10" dia vessel. Also included are rope handles that help to add a uniqueness to each item. 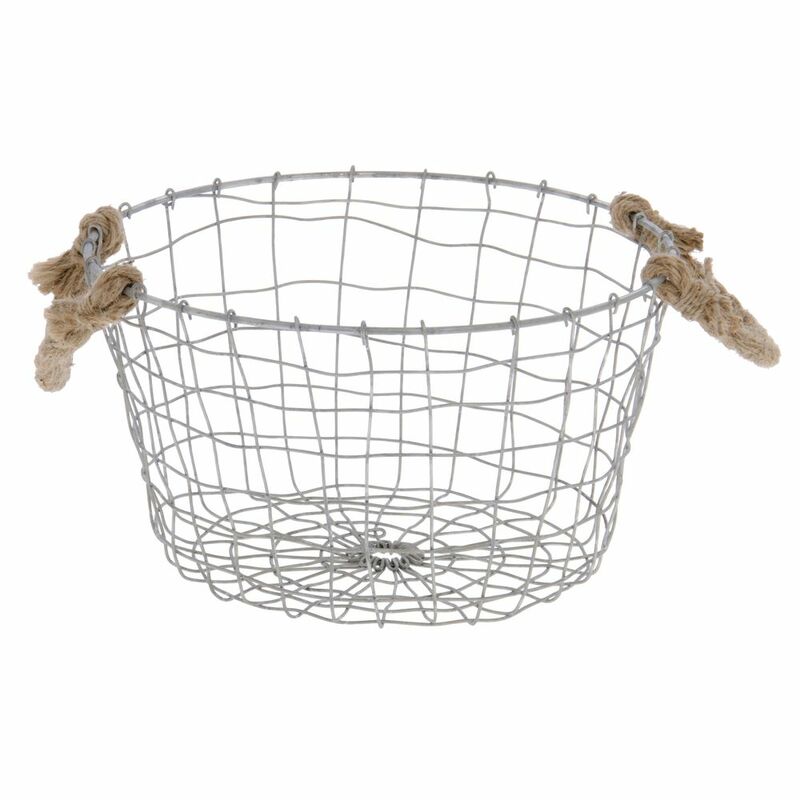 Pair this wire basket with additional metal decor items to create a rustic theme.